Propolis, a greenish resinous collected by bees, mainly from plants around their habitat, is a Greek word resulting from the prefix "pro" (preservation or defense) with "polis" (hive or community or cluster). There are 13 types of propolis in Brazil, which vary according to the geographical and botanical origin regions and its different chemical compositions2. The green propolis (GrProp) type, derived from plant Baccharis dracunculifolia, popularly known as rosemary-of-field, gained prominence for its varied chemical constitution, mainly related to flavonoids. In this study was evaluated the seasonal effect on the chemical composition of GrProp from Minas Gerais (Brazil) in a period of six years. The GrProp was collected at February, March, May, July, September and October during six years (2008-2013). The chemical composition of thirteen flavonoids of GrProp was evaluated by RP-HPLC and statistical analysis of the results. The relative amounts of the majority of GrProp flavonoids were similar in most analyzed samples p-Coumaric acid, chrysin, galangin and kaempferol showed statistically differences in the analyzes made during the study months and through the period of analysis. Nevertheless, the results indicated that GrProp maintained similar and stable characteristics through the six years of study. 2. De Figueiredo, SM, Binda, NS, Almeida, BM, Abreu, SRL, Abreu, JAS, Pastore, GM, Sato, HH, Toreti, VC, Tapia, EV, Park YK, Vieira-Filho, SA, Caligiorne, RB (2015). Green Propolis: Thirteen Constituents of Polar Extract and Total Flavonoids Evaluated During Six Years through RP-HPLC.Curr Drug DiscovTechnol.12(4):229-239. ISNAD FREITAS, M. D. , LOPES, G. A. , OLIVEIRA, N. A , ALMEIDA, B. M. , ABREU, S. R. L. , BASQUES, R. C. , BINDA, N. S. , FIGUEIREDO, S. M. . "Thirteen Flavonoids from Green Propolis from Minas Gerais, Brazil, Analyzed for Six Years". 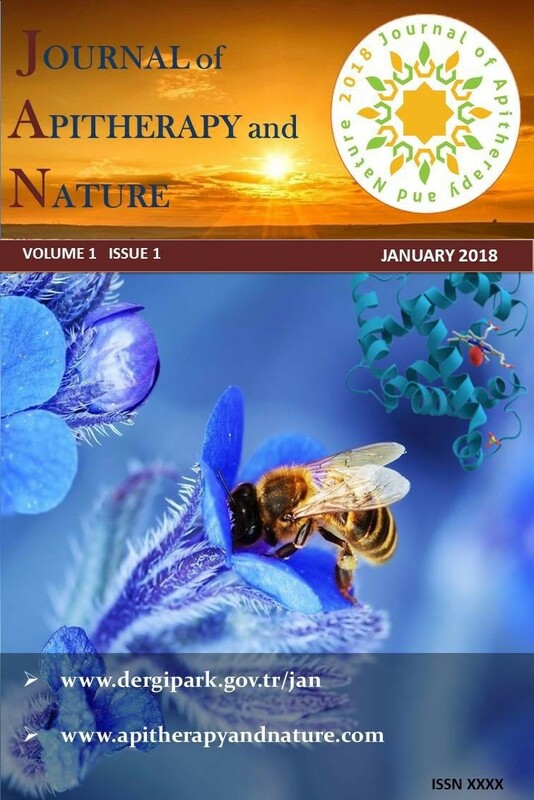 Journal of Apitherapy and Nature 1 / 3 (December 2018): 42-42.